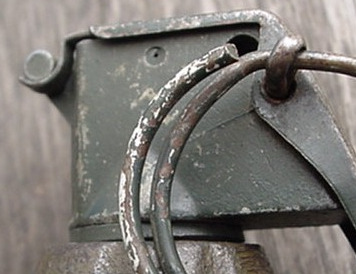 Much more could be, and has been, written about the classic American hand grenade of WWII. But this brief article should arm the collector with enough knowledge to know what to look for when separating his or her ‘find’ into WWII or later vintage. The MkII grenade emerged in 1918 and was modified again in 1942 as the MkIIA1. Its design encompasses a fragmentation body attached to a percussion-cap-time-fuse-delay detonation system atop a tapered neck. The ring held a safety pin in place prior to the grenade's activation. The time fuse delay ran for approximately five seconds after activation giving the soldier limited time to lob the device against an enemy. 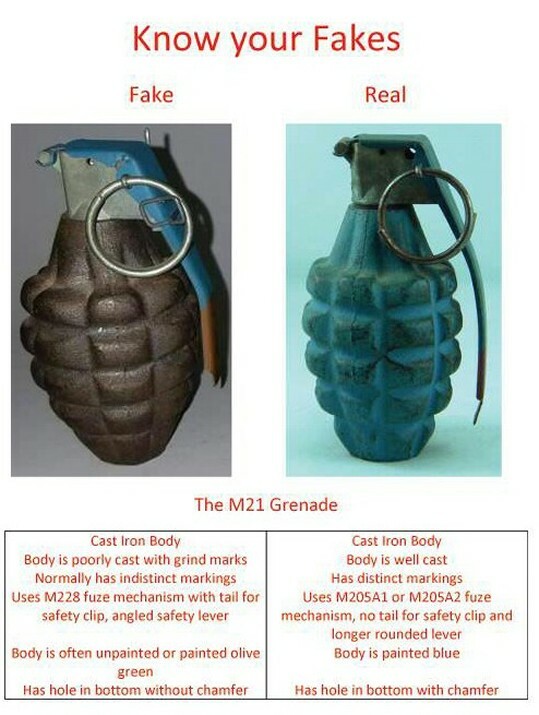 The body of the grenade was manufactured of iron with a pattern of protruding blocks which gave the grenade its unique appearance, aided handling, and increased fragmentation. The internal contents consisted of 2 ounces of TNT filling which would shatter the iron body causing complete fragmentation and the resulting shrapnel damage. Various fuses were used; the M5, M6, M10, M11, and M204. 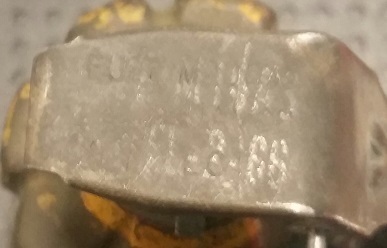 The M6A4C fuse, with a 4 second delay, is found on the MkII High Explosive grenade, the M10 and 11 fuses on Low Explosive MkII’s. At the end of WWII the MKII was replaced by the MK2 with the fuse top folding under the end cap as opposed to over as it did in the wartime configuration. Mk 2 grenades came 25 to a wooden crate and were shipped in small fiberboard packing tubes with the fuses packed separately. Note the yellow paint ring at the top edge of the grenade body. Two fuses found on wartime grenades.